I wrote last week about how depression is like a nasty friend that won’t leave you alone, called Big D.
I’ve tried to be as open and honest about my depression and how I’m feeling and of late I’ve not really written about it for a few reasons. 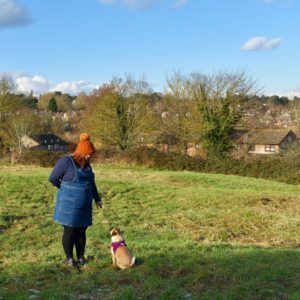 I’ve been having major wobbles about the direction my blog is going; and whether or not to keep the mental health part and just focus on parenting and lifestyle. Or whether to just quit for good, to be honest. I’m also finding it hard to be honest with myself and admit how I really feel so writing about it has been hard. I’m feeling pretty bad at the moment. Desperate is probably the best word. I’m still not taking antidepressants. Even though my GP says I should. My online counselling starts today but I know/feel like it won’t help or work, so it feels pretty pointless. This next bit is the bit I’m struggling to talk about and write; I hate myself. I hate how unhappy I am all the time yet I can’t seem to snap out of it. My eating has become so bad I cry every time I eat or think of how fat I am and how I just want the weight to fall off. I can’t look anyone in the eye. I haven’t really gone out at all recently, even to the local shop, as I feel so disgusting. I can’t do my food shopping for fear that I’m being judged by my fellow customers and the checkout staff for the food I’m buying. I have no energy. I have a constant upset stomach and tight chest. I know these are a result of my low mood, stress and depression always tends to start manifesting into physical symptoms when I reach a certain point. I feel so alone. As amazing as my friends and family are, I’m scared to let anyone in. I’m ashamed of how I look and if every doctor I see just says I’m overweight then how will anyone else believe me when I say I’m scared of food and I’m so full of self hate? Again, last week, I spoke to my GP about all of this; she was really good and recommended counselling. But then proceeded to tell me how I need to lose weight and maybe I should try Slimming World again. I’m at a point where I feel like my only option is to stop eating. I know that can never happen with me, but I just want to lose the weight and then maybe I can be taken seriously. Because of my size people assume I just like food, love it in fact. They assume that I just eat too much, and I just eat junk all day. How wrong they are, when I hate food, and I hate the thought of eating and I dread every meal. On Instagram I see loads of models and personalities who are overweight and proud, and they flaunt what they have. I envy them but at the same time I can’t understand how they can be happy as they are and not be actively trying to lose weight. I’m back to weighing myself multiple times a day again. I know this is making things worse, I know I need to bin the scales. But I’m too scared too – how will I know if I’m dieting right if I don’t have the scales to help me? I know that everything I’m saying and feeling is toxic, I just can’t seem to stop it. Depression wise I’ve felt worse; food and eating wise this is the worse I’ve ever felt. It frightens me to be honest, I need to snap out of it. I would definitely take the anti depressants. They help the what’s the point feeling. Then it gets easier. I hope you find some peace soon. This post has made me so sad. I know exactly how you feel because after 7 years of suffering with depression, anxiety, OCD, eating disorders, PTSD and everything else in between, I finally feel like I’m getting to the other side of it. You will get there too. Everyone has days where they feel like complete crap and that’s okay because it always gets better. Stay strong. Put yourself first. Do everything in your power to make yourself feel better (even if you have to use all your strength to do it). Use your support system as much as you can. You will get there, just believe that you will and never, ever give up. I’m always here if you need a chat lovely, Tweet me, email me, whatever is best for you. Totally agree with Sarah! The physical health will follow the mental health. So sorry you are dealing with this. If you give therapy and antidepressants a chance, you may be surprised at how effective they can be (especially in combination). The depression is lying to you and all the things you feel are based on those lies. When you are able to stop lisyto the lies and replace it with the truth you’ll discover that you are more capable than you ever imagined. I think your candor about your mental health is important and hope you keep writing about it. You are not alone. It’s ok to cry. It’s ok to be feeling all that you do. You are very brave to put this online and I am glad you wrote it. I have suffered. I have been unable to look people in the eye. Unable to admit what I’m feeling. Just yesterday I spent most of it crying and feeling pathetic, useless and worthless. Some of this is hormone rollercoaster and some is deep down dissatisfaction. I constantly tell myself I’m not good enough. You are doing some good things even if they are tiny. If I do something tiny that is good I have to work hard to say well done even if the problem/feeling is ten thousand times bigger than that tiny effort. Because that effort took everything I had. And I did it. I too love and hate food. And it hates me. Diets don’t work. For me. It’s smaller portions. Plus always starting with a glass of water if I feel hungry/bored. 9 times out of 10 I am actually thirsty! Bonus rehydration! I often need someone to turn to who I can tell my little wins. So that it keeps me going. If you need a cheering squad for the little wins I’m happy to help. It’s hard not to let the toxic thoughts win. It’s not a failure if they do. You will get you little wins soon.